Investing can be difficult. Dont just Dash for Cash! After a lean period of returns, many investors are questioning cash as a haven, which has led to a surge in interest in money market and income funds. 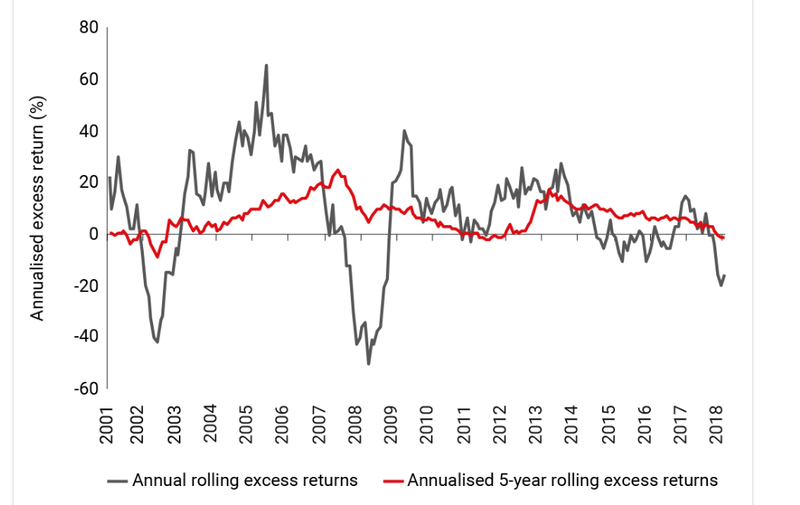 Over the last five years, average equity returns less cash returns are negative, which are well below the long-term average of +8%. 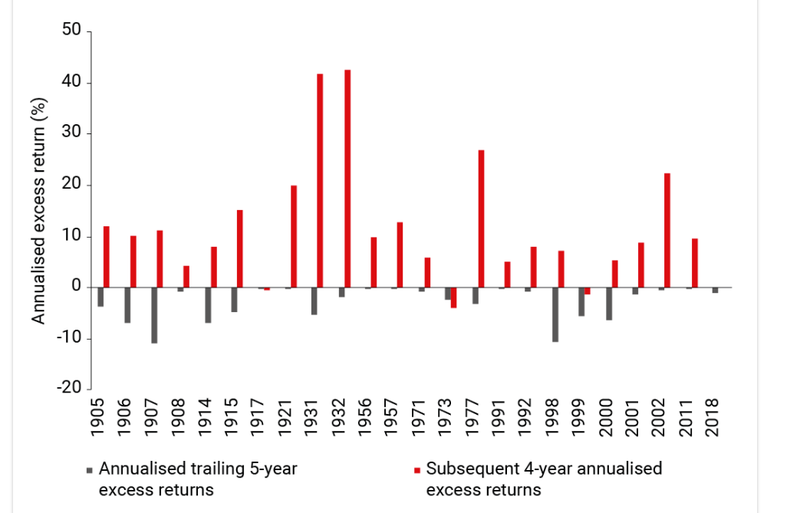 It is fascinating to note, that after a five-year period of average negative returns (cash returns exceed equity returns – grey bar), the subsequent four-year average excess returns (red bar) are positive 85% of the time. Over the same period, in 50% of instances, the return has been higher than the long-term average of 8%. Currently, the All Share Index measured in US Dollars is at the same level as it was in April 2007, which is why Allan Gray is finding a lot more opportunities in SA equities than they have for some time. It takes depressed valuations and negative sentiment to set the ground for strong excess returns from equities. Investing can be difficult as it is often counter intuitive. When everything looks terrible and flawed, it’s often the time to buy (invest) and when everything looks fantastic, it’s often the time to sell (move to cash). As we have stated previously, SA equities are offering value and therefore, more than ever before, selecting the right unit trust to invest in is crucial. We believe that there will be a large gap in fund performances over the next few years as fund manager options will vary between local opportunity and offshore stability. As an alternative, an investment in our Prosperity Worldwide Flexible Fund of Funds should provide you with a low-risk, steady return as we take advantage of selected market opportunities. Over the last year, the Prosperity Fund has returned a steady 9.6%, and 8.5% per annum since its inception in September 2014.